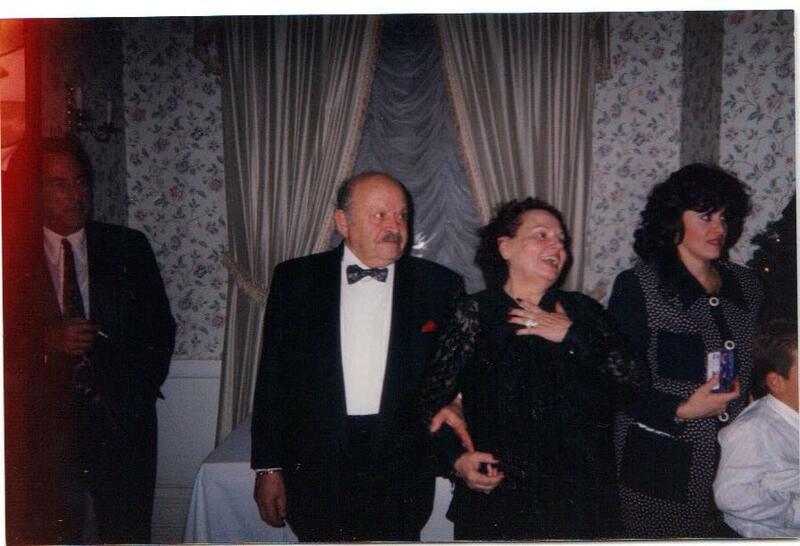 Like a rainbow fading in the twinkling of an eye….gone too soon. Schweitzer Linen suffered a terrible loss with the recent passing of a beautiful soul, Elena Schweitzer. Elena Schweitzer was the last founding member of Schweitzer Linen and a brilliant business woman. She worked alongside her husband Sandu and nurtured a dream they shared to be business owners. They planted the seed and watched it grow into Schweitzer Linen. She was 84 years young. We want to share her life and honor her legacy with the story of how Schweitzer Linen grew into what you experience and know today. Like all good stories we will start at the beginning when Elena and Sandu were living in Romania raising a very young Robert. They always had hope of leaving Romania for a better life and freedom. They traveled to the US in 1967 with this goal and sheer determination like so many immigrants before them. The root of Schweitzer Linen began with lots of love and lots of hard work. 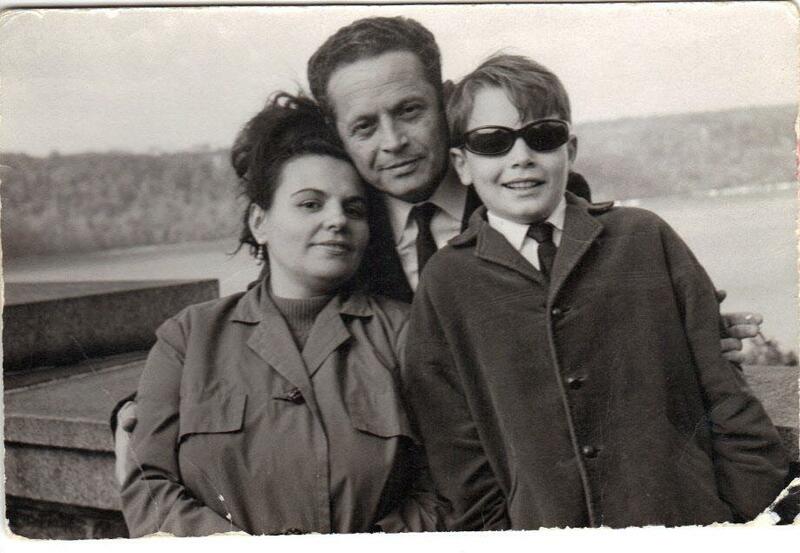 The family settled into the Bronx with little money. Their desire to succeed and faith gave them the strength to preserver and work towards a goal of one day being business owners. Elena worked her entire life and had a career as a drafts woman all the while caring for Robert (a promising soccer star). Sandu worked as a photographer in dark rooms. 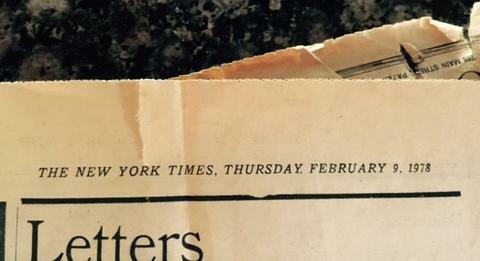 This was long before the digital age and work was done by hand. 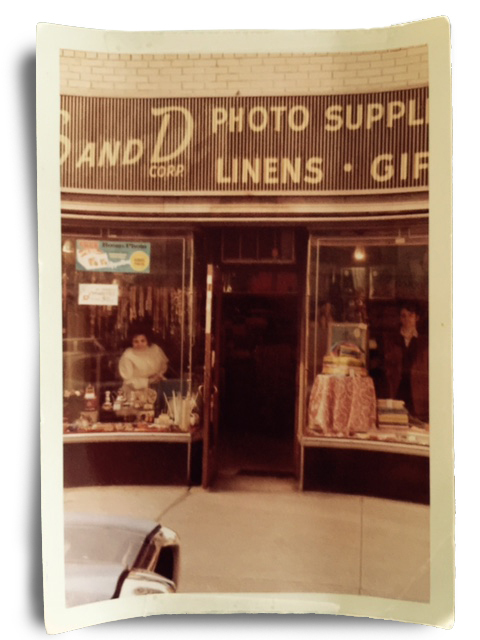 In 1971 they opened S & D Corp on Madison Avenue selling gifts, film, cigarettes, placemats and tablecloths. S & D Corp was known as a gift shop and not so much for their linens, but things would soon change. The flower was starting to grow. Elena was an integral part of Schweitzer Linen and the growth of the store. She knew the road to success was based on quality, service, price, but most of all beauty! 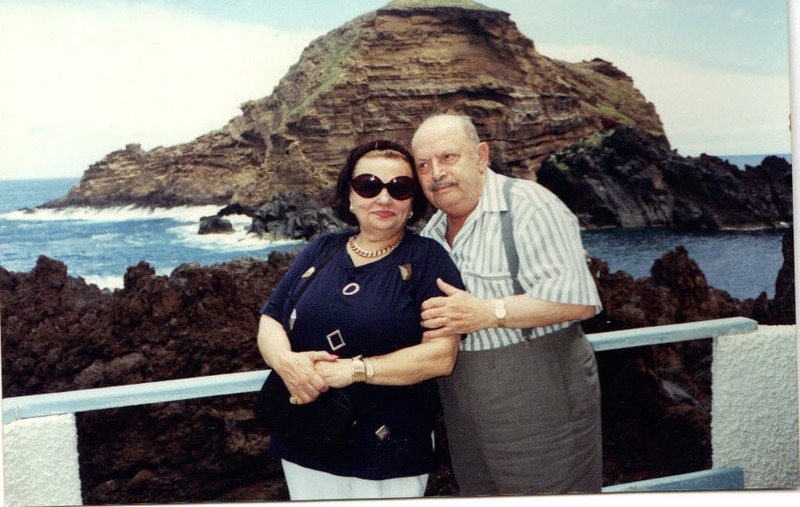 With little money in their pockets Elena and Sandu traveled to Italy to invest in their first line of luxury sheets and introduced them to the New York market. Customers immediately fell in love with the quality and appreciated the workmanship. The detail in the sheets was unlike anything customers had ever seen and the embroidery was one of a kind. Elena took great pride in making customers happy and stocked her store full of exquisite sheets, tablecloths and in time nightwear. S & D was transformed from a gift store into a full bloom upscale linen store which is loved by people all over the world. Elena always had great taste! 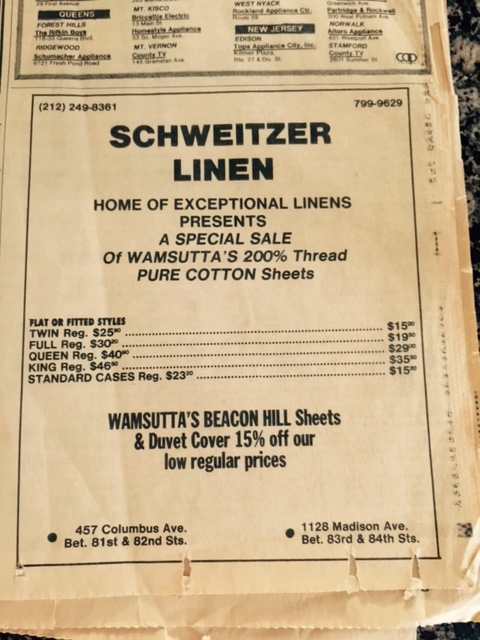 Schweitzer Linen was thriving. Elena and Sandu worked in the store everyday while Robert was in college playing soccer and developing his own career. With his parents blessings and plans of his own, Robert decided to go into the family business. He opened the second Schweitzer Linen location on Columbus Avenue and eventually Lexington Avenue. Schweitzer Linen was thriving and grew from a brick & mortar location to catalog and then the internet. Robert introduced his parents to the World Wide Web in the 1990’s when the web was alien to everyone. He could not have predicted how important it would become. Today Schweitzer Linen is a fully integrated company who weaves, manufacture and produces their own line of linens and nightwear. The hard work paid off for Elena and Sandu. Anyone who visited the Madison Avenue store over the decades got to know Elena Schweitzer. 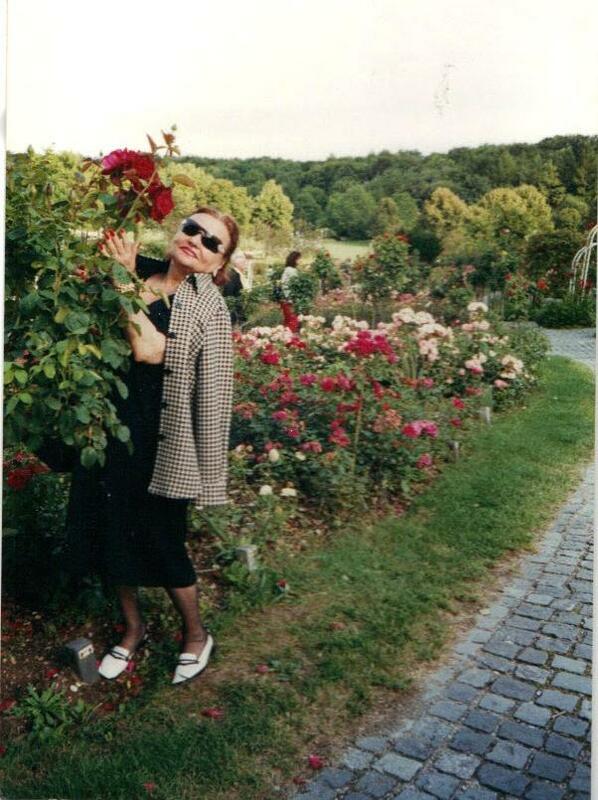 Designers, decorators, celebrities and local families would stop in to say hello to her, an elegant woman who was always dressed to the nines. To know Elena was to know a true beauty. She had the looks of a Hollywood icon of a bye gone era and she will be missed by everyone who knew her.